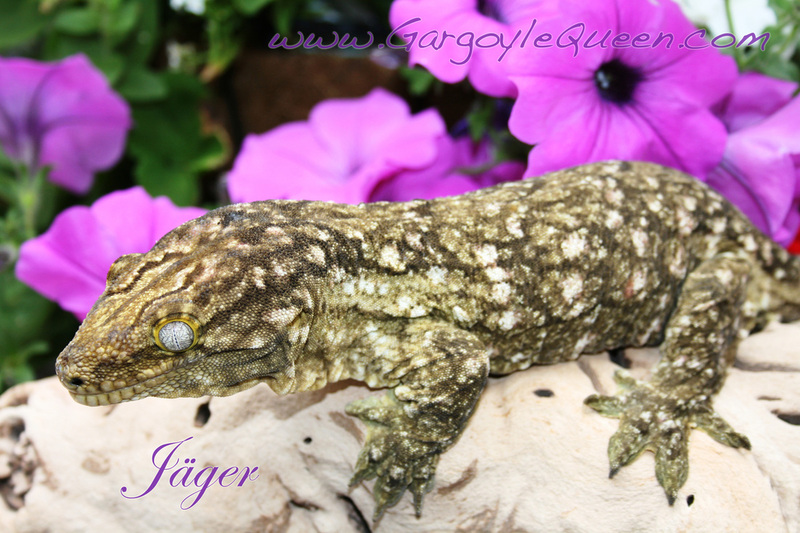 Jäger was produced in 2008 by a gal no longer breeding who obtained his F1 parents from Philippe de Vosjoli (Giant Geckos). I purchased him from her at a show in 2009. 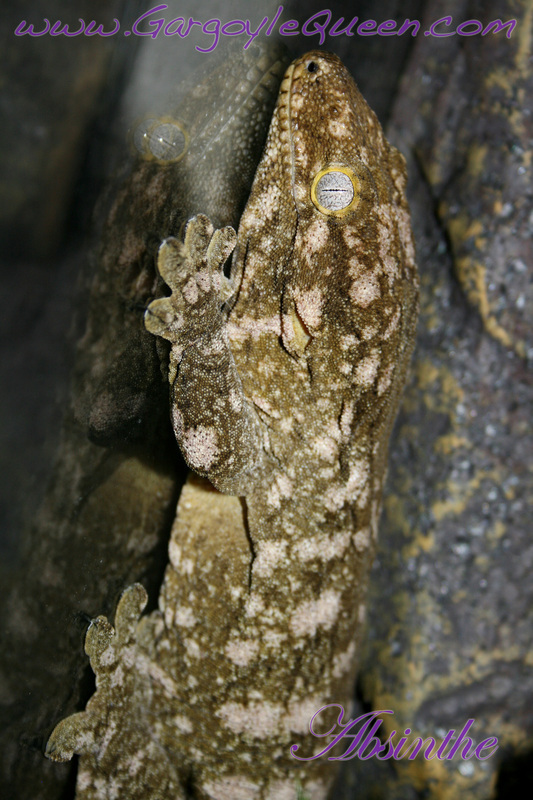 Absinthe was produced by Steve Cemelli (Leapin Leachies) in August 2010, and I purchased her from him early 2011. He told me she is F2 and is out of his high white snowflake line.